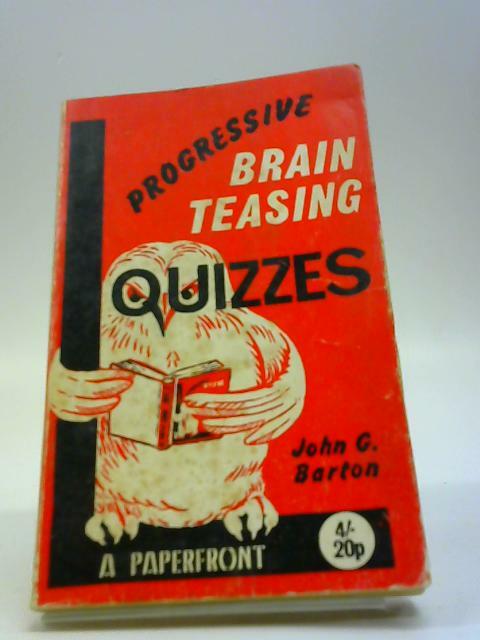 Progressive Brain Teasing Quizzes (Paperfronts) by Barton, John G.
1971. 128 pages. Good condition paperback; as expected for age. Cards, pages, and binding are presentable with no major defects. Minor issues may exist such as shelf wear, inscriptions, light foxing and tanning.